Singer-songwriter Mikaru is not unknown in Europe, having already performed on European stages with his previous bands, Dio – Distraught Overlord, Blackline and then last year with his personal project G.L.A.M.S. It is with the latter that he will perform from July 2, 2015 accompanied by his musicians, Tetsuto (bass), Syu (DJ) and Yudai (guitar). G.L.A.M.S emerged in winter 2013. This project is very important for the artist as it shows the very personal side of Mikaru’s work and personality. 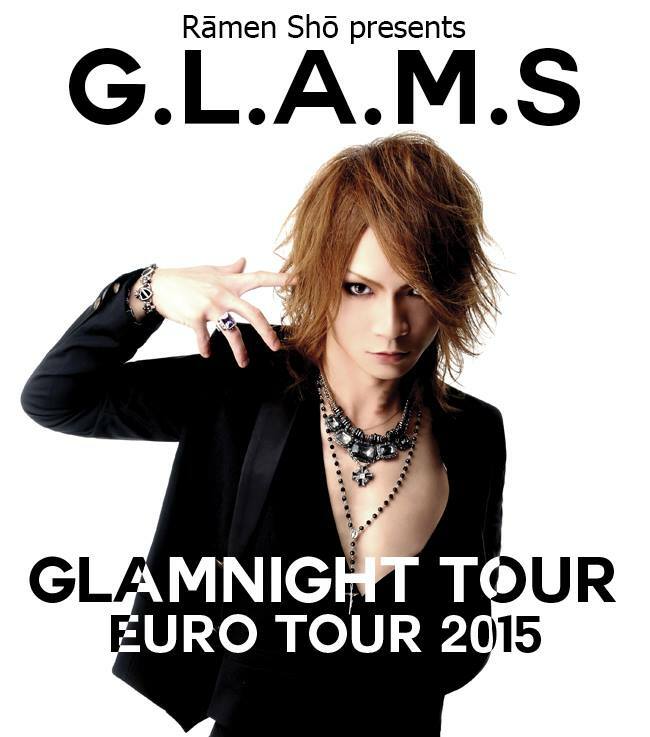 This time, Mikaru’s wish is to give a glamour touch (glam) ‘‘haute couture’’ to the atmosphere of this tour. On stage, Mikaru interpretes his new songs as well as those who made the heyday of DIO and Blackline. It’s a great way to understand the wide artistic world of Mikaru, whom is also a painter and jeweller. The band will perform in Europe from July 2nd to 19th 2015, thanks to the French-Belgian association Râmen Shô.